As a homeowner, a roofing system is a big investment and represents a big portion of construction costs. But, if you hire the best roofers in San Antonio, TX for regular roof maintenance, they will help you protect your investment by carefully maintaining your roof on a regular basis. In this blog, we have discussed some tips to maintain your roof, thereby saving you money and also to guide you on what to expect when you hire a professional roofing company to perform routine maintenance on your roof. Hire a professional from the best roofing company in San Antonio who has an A+ rating with the Better Business Bureau. The professional roofers will not only fix your roofing problem but will also inspect whether there are any other cracked or loose shingles. If so, they will replace that too. So, you can rest assured that there will not be any problem for some period. With the help of a professional who is an expert in roofing in San Antonio, it is recommended to have a roof inspection at least twice per year. By having a regular inspection, the roofing professional can correct any hidden problems, clear debris, and save your family and pets from any potential issues or red flags that could indicate trouble in the future. Remember one thing, even a small issue can develop into bigger issues in the future. A critical role of roof maintenance is regular cleaning of the roof and its related systems. You should pay attention to flashing, shingles, and other key elements, like troughs, eaves, installations, downspouts, and ventilation. Are you looking to maintain your roof and, therefore, save a lot of money by not having to replace the roof? Do more research and find the best roofing company in San Antonio to hire well-trained professionals. 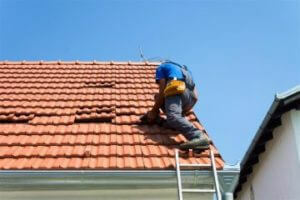 They will maintain your home’s roof, which will extend its life and save you money.